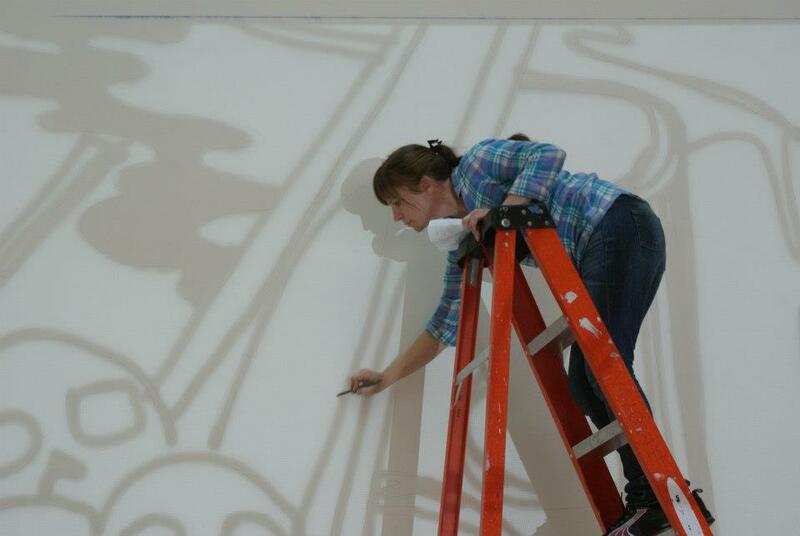 Sarah Emerson’s latest creation in her Underland series is underway in the form of a large mural adorning three walls of the Haskell Atrium Gallery at the Museum of Contemporary Art in Jacksonville, Florida. The project will be on view from March 23 through July 7th, but visitors are encouraged to stop in and interact with Sarah over the next 12 days while she creates the piece. Checkout this interview with Sarah on FolioWeekly.com to learn a bit more about the project. For those of you who live in or will be traveling to Florida between now and July, please note that there will be a member’s preview on March 22 from 7-9pm as well as an artist’s talk on March 23rd at 2pm. 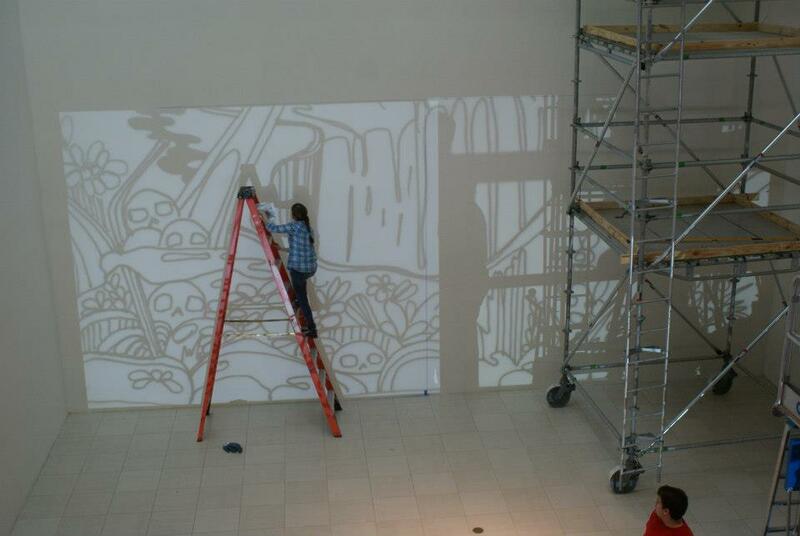 Check back in with the whitespace blog and facebook for image updates of the mural’s progress! This entry was posted in Exhibition, Sarah Emerson and tagged atlanta art, florida art, Jacksonville art, MOCA, murals, Sarah Emerson, whitespace, whitespace gallery on March 13, 2013 by Whitespace.